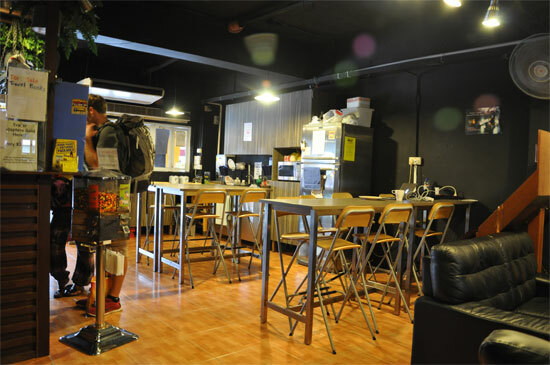 The InnCrowd has long been a backpacker crash-pad of choice in the Little India area of Singapore, and while it had been substantially renovated since our last stay, it remains a great value and very sociable old-style hostel. The in location for the right crowd. Our stay at InnCrowd was in an eight-bed dorm on the first floor (private double and triple rooms are also available), looking over Dunlop Street. We arrived after midnight, but front desk staff waited up to sort us out with bedding and a key for the hostel, while a bunch of travellers sat around in the downstairs common area, some chatting and some watching a movie. The “InnCrowd reception” even before arrival was good, as when I noted I wouldn’t be flying in till around 23:00 a staffer emailed me back explaining that the MRT would be closed by the the time I cleared customs and made suggestions for alternative ways into town. While I didn’t need this extra information, first timers to Singapore would certainly appreciate it. The dorm wasn’t one of the most spacious we tried out, but there was enough room to move around without tripping over too many backpacks. Once we clamoured into the upper bunk, we slept well. It’s a tough decision between providing enough locker space or enough space to move; in this case, perhaps because some of the others were travelling with so.much.crap, either more space to move in or more space to stick backpacks would have been good. Bathrooms are shared and there were certainly enough, with no queuing in the morning. 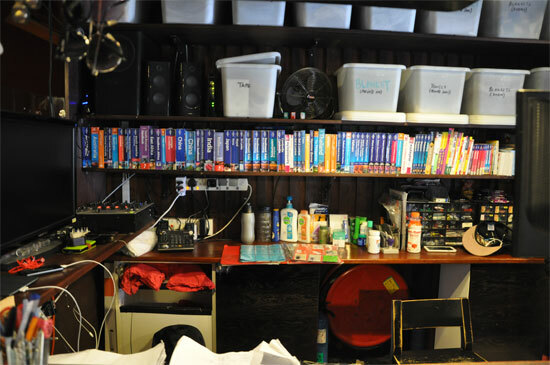 Everything, while not sparkling, was more than adequately clean. 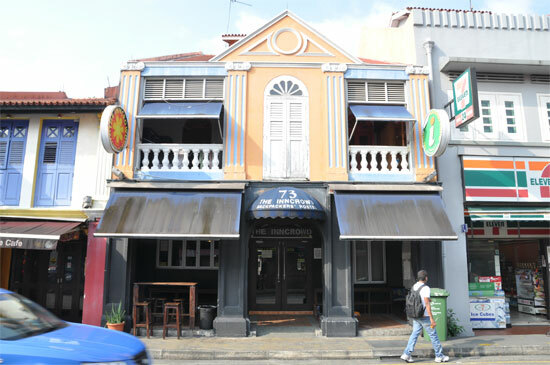 Like BetelBox in Joo Chiat, InnCrowd has a very well-earned reputation for its social atmosphere and the range of activities you can do from here. While we were just here for the one night (and a late arrival at that) we can attest to the social feel from previous stays at InnCrowd. The morning of our stay the ground floor area was humming with travellers, some making their plans for the day, others catching up on Facebook or just having breakfast at the shared dining tables. And while there is free WiFi throughout and a big flatscreen TV here, both of which are common features in Singapore hostels, InnCrowd just felt more sociable and less like everyone was gazing into their phones. The location on Dunlop Street places you right in the midst of Singapore’s colourful Little India, so you’ll have ample choice for South Asian dining and if you happen to be in need of a cheap phonecard for calling Bangladesh, you’re most certainly in the right part of town. Boozing options nearby include the Prince of Wales Pub and there’s some decent Thai food on offer at Spicy Thai Thai on Dickson Road, just around the corner. Sights wise, this is a great area just for wandering around, though wherever you wander make sure you take in Tekka Centre Market. Technologists and camera shoppers may also want to swing by Sim Lim Square, though bargain hard! The 11:00 check out is a bit of a drag, but they’ll let you use the showers and so on plus store your bag should you need to after vacating your dorm. If you’re a single traveller wanting to meet up with others and have a keen interest in South Asian food, you’ll probably fit right in here and feel well at home. InnCrowd is a great place for meeting other travellers and offers good value dorm accommodation. Check it out!